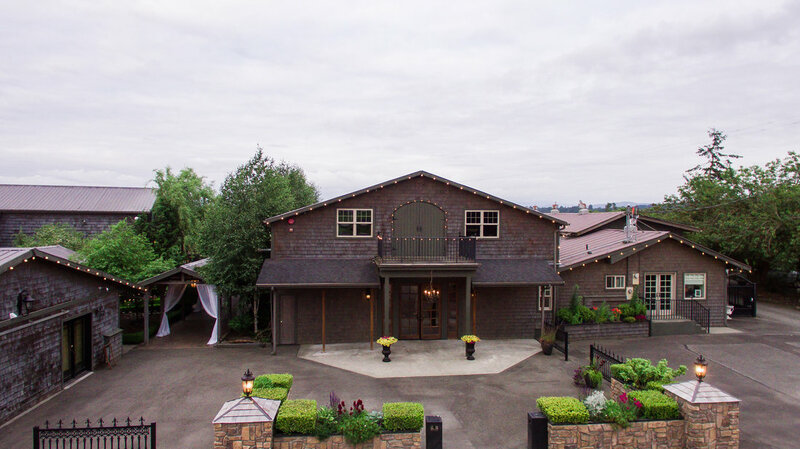 Located in the peaceful and picturesque valley of Snohomish, Washington, Hidden Meadows is an eloquently designed facility that possesses characteristics of the glorious countryside that surrounds it. Being in the business 12 years we are constantly learning what our venue needs to make events better. Every year we try and make small and large improvements. Not only is the facility beautifully designed with its gorgeous landscape, pleasing walkways, and serene feel, it has a great history that is not to be forgotten. Tim and Tracy Stocker’s children make up the fifth generation of Stockers raised on the farm. Years back when the dairy industry did not look promising, the family decided to cultivate sod, also known as turf. This industry proved to be successful, but left the family with unused barns and spare land. With the architectural mind of Tracy Stocker, help and support from family and friends, and countless hours devoted to construction, Hidden Meadows arose from the antique barns that used to house hundreds of dairy cows to the unique events facility it is today. The Hidden Meadows facility is truly a story of miraculous transformation, which proves that its blend of country background and eloquent design is an ideal recipe for a perfect atmosphere to hold events.